The 65th event for Russian powerhouse M-1 Challenge features a portion of its 2016 Grand Prix, with headliners Ramazan Emeev and Maiquel Falcão competing in a semifinal match-up. 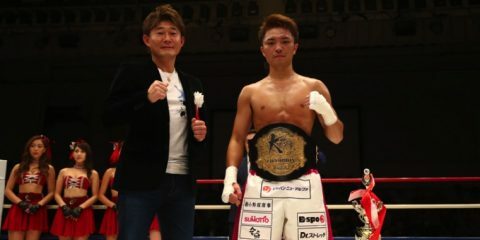 The card is loaded with additional prospects, including the promotion’s welterweight champion, Murad Abdulaev, and the top contender to the crown, Alexey Kunchenko. Abdulaev made his pro debut under the M-1 banner in 2009 and floated around the Russian circuit until returning to the M-1 Challenge series in 2013. He lost his return bout to Alexander Yakovlev via split decision, but rebounded with a stoppage win over Daniel Tabera in his next outing. 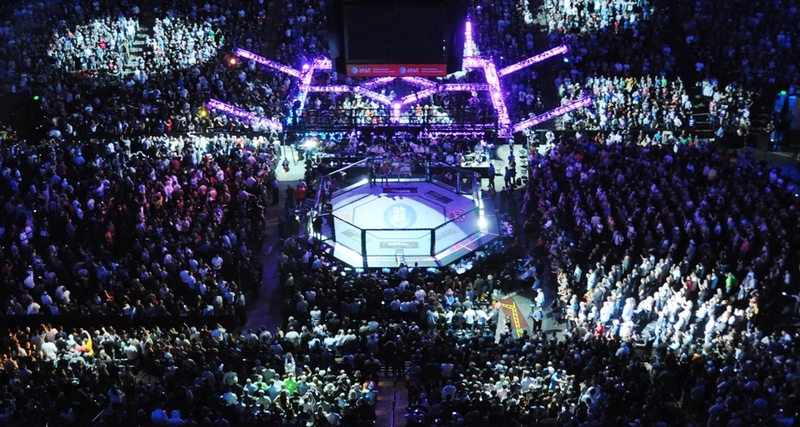 The victory was enough to boost Abdulaev into a title affair against Marcelo Brito. Abdulaev defeated Brito by way of unanimous decision to claim the league’s welterweight crown. His fight against Kunchenko will mark his first defense of the belt. The “Hunter” tends to win via either strikes or decision, but he does have a pair of choke submissions on his record as well. He trains out of the Fighting Eagle team and holds a victory over UFC fighter Albert Tumenov. Kunchenko, 31, only debuted as a pro in 2013, but he checks in as the older fighter in this pairing. He remains undefeated through 12 outings. He, too, has faced some tough veteran competition, but his most notable victories came against Bellator veterans Ron Keslar and Carlos Pereira. The Boets product has a foundation in Muay Thai and registered 10 of his 12 wins by way of strikes. Four of his last five fights have ended in the first round. Kunchenko is the prospect with the shiny, unblemished record, but it would be a mistake to dismiss Abdulaev. The champ has a traditional Russian sambo and wrestling style that could allow him to neutralize Kunchenko by grounding the striker. Abdulaev won’t match his challenger in a shootout, so he must find a way to close the distance, create opportunities to clinch and turn those clinches into takedowns. If Abdulaev can make this a grappling contest, then he can close the gap with Kunchenko and potentially emerge with the win. The problem the champ faces is that Kunchenko can be just as overwhelming if he gains top position on the mat. 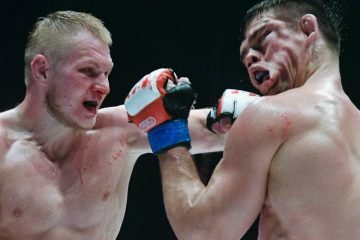 Kunchenko, a Russian military hand-to-hand combat champion, delivers devastating flurries of punches on the feet and barrages of ground-and-pound strikes when he gets to mount. Either of these attacks will be enough to put Abdulaev on the defensive. Abdulaev’s primary route to victory is to grind it out for five rounds in hopes of taking home the decision. While Abdulaev is a tough fighter who has proven that he can handle guys like Tumenov and push someone like Yakovlev to a split verdict, it’s likely that Kunchenko will be too much for him. The striker might not be able to score the finish, but he’ll punish Abdulaev with strikes en route to a judges’ nod. The Texas-based Legacy FC promotion returns to Atlanta’s Center Stage, which hosted last year’s Legacy FC 47 event. Some familiar faces from that event, including Dave Vitkay, Chazz Walton and Devorious Tubbs, return for this latest offering, but they’ll be joined by a rising welterweight prospect and a recent UFC castoff. 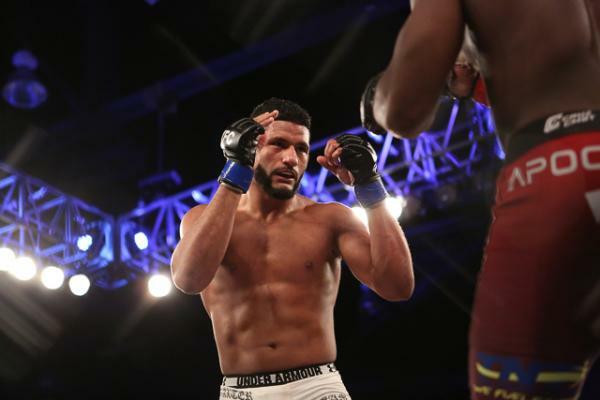 The castoff is Dhiego Lima, brother to former Bellator champion Douglas Lima, and the prospect is Antonio Trócoli, a Brazilian fighter who has yet to notch a victory outside of his homeland. 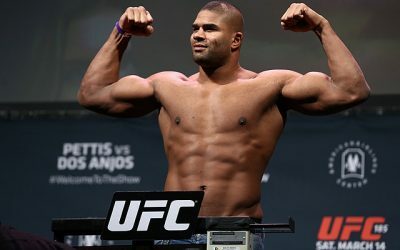 Dhiego Lima, unlike his brother, has not managed to claim gold at a highest level. However, the younger of the Lima brothers might be the more well known of the siblings in a poll of casual MMA fans. 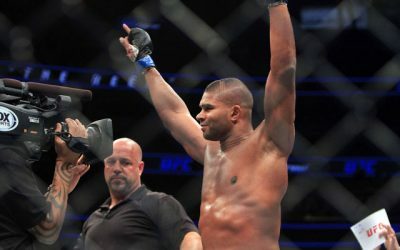 That’s because Dhiego Lima was a cast member on The Ultimate Fighter 19 before competing inside the Octagon four times on live cards. He fought as a middleweight on TUF and advanced past Adam Stroup, Tim Williams and Roger Zapata to make it to the finals, where he was dropped by Eddie Gordon. He shifted to welterweight after the defeat and claimed a decision win over Jorge de Oliveira. His celebration was short-lived, however. 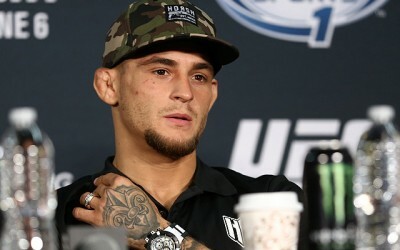 He suffered losses to Tim Means and Jingliang Li in his next two contests before the UFC ushered him to the exit. The American Top Team Atlanta fighter was set to meet Ben Brewer at Legacy FC 53 before Brewer was pulled and replaced with Trócoli. The 25-year-old Trócoli made his pro debut in 2013, but he appears to be only a step or two away from the UFC after a 9-1 run. He won his first nine fights, including a decision nod in an XFC International fight against UFC veteran Wendell Oliveira. Trócoli made his Legacy debut against Jacob Volkmann, another UFC vet. Volkmann, a fighter with a grinding style, dominated to take the decision win, leaving Trócoli frustrated after three rounds of action. 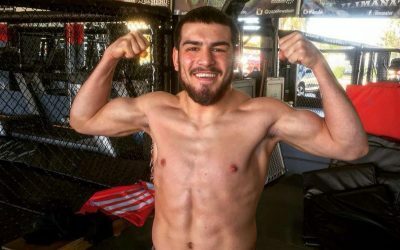 “Malvadeza” now draws another UFC veteran in Lima. The good news for Trócoli is that Lima is not a wrestler with a suffocating top game a la Volkmann. The bad news is that Lima is another UFC veteran with the skills to edge Trócoli. Lima’s run through the TUF house — at middleweight, no less — was a display of his potential. His chin has been his one fault since reaching the sport’s grand stage. The aforementioned Gordon delivered the first knockout blow, Means followed with a TKO and Li added another quick knockout. All three finishes came early in the first stanza. If Trócoli could touch fist to Lima’s chin in the opening minute, then he may just have a shot at the victory. And Trócoli has scored a few victories by way of strikes, so it’s not out of the question. Furthermore, Trócoli will hold a height advantage of several inches over Lima. 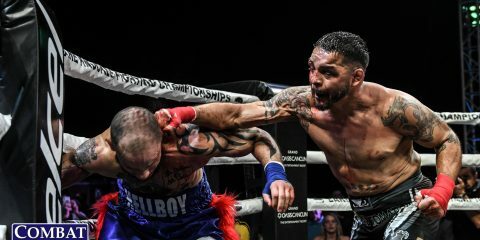 Despite all these advantages, Trócoli just doesn’t have it all put together to form the type of game a fighter needs if that fighter wants to dispose of Lima. Trócoli is tough enough to stay in this one to the final bell, but he’s going to suffer from more frustration when the scorecards are read and Lima’s hand is raised. The last time Z Promotions attempted to run an event, the whole thing was scrapped on the day of the fights. Now, the company is back at it. Perhaps this card will be met with far less misfortune. It certainly has a lineup worth tuning in to see. Among the match-ups, Ryan Machan and Cody McKenzie might be the cause for concern that there’s a curse in the works here: they’ve been slated to fight twice before only to see the fight scrapped for one reason or another. Former Bellator light heavyweight champion Emanuel Newton also graces the lineup. When it comes to fighters on their way up, though, the spotlight shifts to welterweights Jonathan Meunier and Joey Merritt. The undefeated Meunier is a 28-year-old fighter based out of the Tristar gym. After a lengthy and successful amateur career, he turned pro in 2013. He turned in first-round TKO finishes in his first four encounters. His most recent victory, which came at LAMMQ 4 in June, featured an unusual sight for the budding pro: a submission. Meanier had one previous submission win — plus a submission loss — as an amateur, but he tends to rely heavily on his striking arsenal. Meunier lacks significant experience against established veteran opponents. This is what makes Merritt an intriguing opponent. 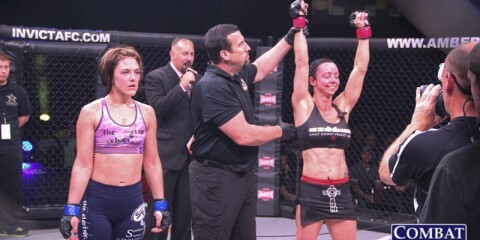 With eight fights and six wins, Merritt is, without question, the best pro fighter Meunier has met. “Slash” tallied six wins as an amateur and then turned pro in 2012. 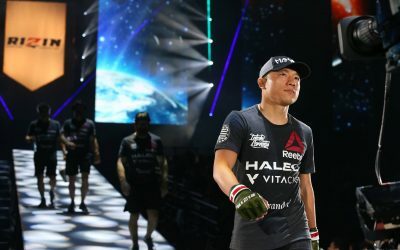 His success continued through his first six bouts, all of which ended via strikes and one of which took place under the Resurrection Fighting Alliance. Then, Merritt, who had been fighting fellow rookie-level opposition, stepped into deeper waters and couldn’t handle what he found there. He made a stop in the UFC and suffered a decision loss to Alex Oliveira. 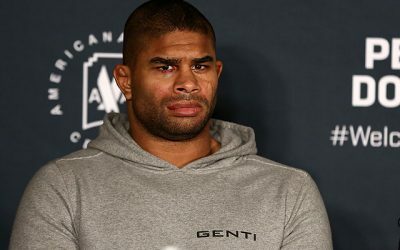 Merritt returned to the RFA, but he was submitted by Felipe Fogolin. Meunier, who has a background in amateur kickboxing, is meeting a fighter with a fondness for striking finishes. The ingredients are here for a true display of fireworks. These guys might just stand toe-to-toe and trade shots until one man drops. Meunier has a knack for being in controversial fights, so it shouldn’t be a surprise if he opts to surprise Merritt instead of touching gloves or gets out of control and lands an illegal blow. Merritt’s two recent losses are cause for concern. Merritt will put up a strong fight, but Meunier will bring an early end to the night.